The ground you are walking on was laid down as sediments in a shallow sea about 12,000,000 years ago in the late Miocene epoch. 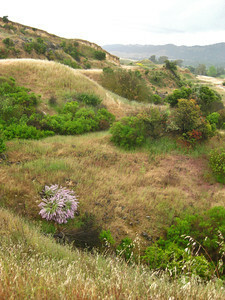 Mount Diablo plays a role here as it was thrust upwards and folded the surrounding lands some 5,000,000 years ago. Because of this, the entire area around Shell Ridge was split apart and, when this happened, large blocks of these sediments seemed to rise and the edges became loose debris that was eventually washed away by small streams. You might be able to imagine what this terrain looked like several thousands of years ago if you stand on top of Shell Ridge and look down. These tilted blocks are lined up in parallel rows. The tilts range from 60 to almost 80 degrees from the horizontal. The ditch along the road leading to the Muir water tank reveals several rock strata with very steep tilts. Mentally, move these blocks back down again and you have the level plateau of an uplifted sea floor. The highest point on Shell Ridge (north of Ginder Gap) is 829 feet above the present level of the sea and still contains several varieties of seashells that were once in the shallow sea. There are several areas where these seashells can be seen to good advantage. One is in "Quarry Hill" where white shells are nicely contrasted with the dark embedding sediments. 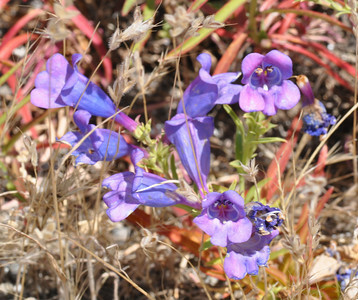 The soils that have been formed seem ideal for both Foothill Penstemon (Penstemon heterophyllus) and California Fuschia or (Epilobium canum). 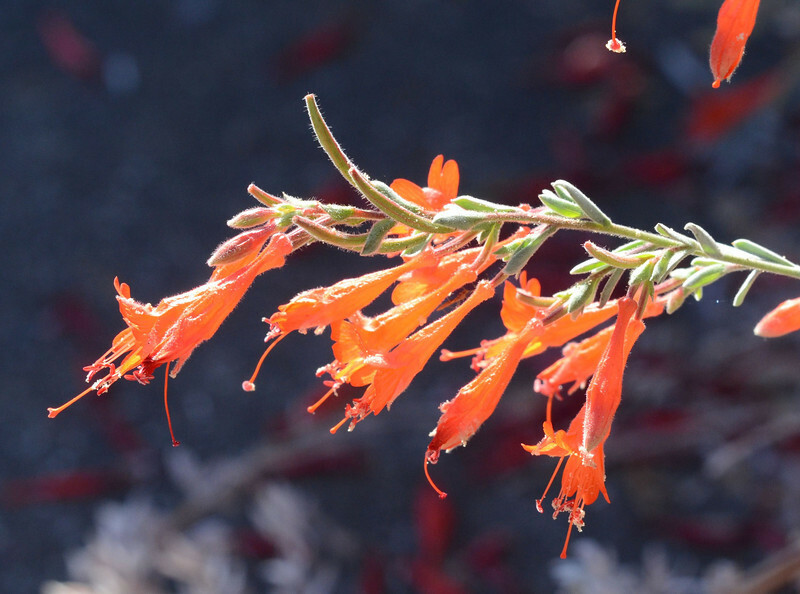 These flowers bloom, starting in late March, all the way to December (Fuschia). Another area is "Rock Hollow Hill" where a smaller quarry also contains shells. Just to the left of the entrance at Sutherland, there are several mid-sized rocks with seashells that came from these quarries. 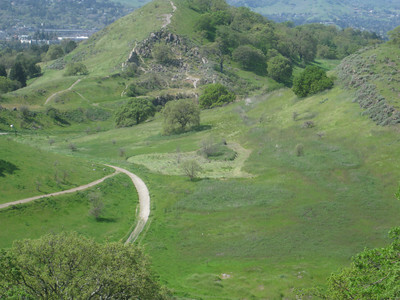 These quarries were excavated for landfills around this part of Walnut Creek. The summit building on Mt. Diablo is made from sandstone that was formed at the same time, but from another nearby sea. If you go to the summit, look for the many fossils in the various stones as you climb the stairs to the lookout on top of this building. There is another outcropping of shells on the road cut opposite the Muir water tank on Shell Ridge. These accumulations of shells occurred when huge storms washed bottom debris (shells and sediments) together. Subsequently, sediments anchored these shells in this spot until they eventually became metamorphosed rock by heat, time, and pressure. After about April first, the thinner soils on top of these layers of sandstone become evident when the grasses start to first turn brown. Note the progress of the "bands of brown" as the month progresses. This occurs where the ground is too thin to retain enough water for grass growth. In contrast, at this same time, as the water drains from these sandstone layers, the road just below Ginder Gap is wet to moist, as the water drains along these sandstone layers and emerges on this mud road. If you pass by Borges Ranch and get to Castle Rock, these sandstones were formed much earlier – around 30,000,000 years ago. This era is called the Eocene epoch. These sandstones, too, have been tilted as this area spread apart with gentle nudges coming from the surrounding earthquake faults. It is significant that both Castle Rock and Shell Ridge were formed when they were horizontal because you can still see the layering that can occur only when sediments lay down horizontally.  Then it is also obvious that the emergence of Mt. Diablo, which caused both of these ridges to tilt up, had to have come after Castle Rock and Shell Ridge had been formed or the obvious layering would never have occurred. Much of the rocky sediments for this region came from mountain ranges that were in place west of what is now San Francisco Bay. These mountains were high enough to block rain from the low hills of (what is now) our Sierra Nevada region so what are now our high mountains were quite dry during this period. As these western mountains weathered away from the rains and winds coming off the Pacific, the rains could now continue to the Sierra Nevada region and weathering started there. Eventually, this weathering of the Sierra Nevada region filled the inland sea that was in the Central Valley and supplied some of the material that is now Lime Ridge. Lime Ridge is riddled with quarries. In 1908, the Henry Cowell Lime and Cement Company started to mine this area after it had lain dormant for some 20 years. The flat areas are roadways and beds for the railroad shuttle that carried the quarried limestone to the calcining plant memorialized by the tall smokestack in the Cowell region of Concord. The smokestack was demolished in 2009 after it was deemed unsafe. The sediments that make up the sandstones of Lime Ridge were brought in from the Sierra Nevada region. They were deposited some 45,000,000 years ago. Numerous springs of hot water (and some are still here) deposited limestone and dolomite in the cracks and crevices here. This material is a form of Travertine. Italian Travertine is famous as a building material throughout the world and the only difference in Lime Ridge Travertine is that it is still limestone and not marble (marble is metamorphosed limestone = "turned into rock"). The evidence for the size of these pockets of limestone can be seen by the sizes of the various quarries pocketing the hillsides of Lime Ridge.